Are you thinking about cycling the French Way? 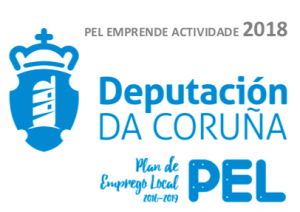 Would you like to request your Pilgrim Certificate (Compostela)? 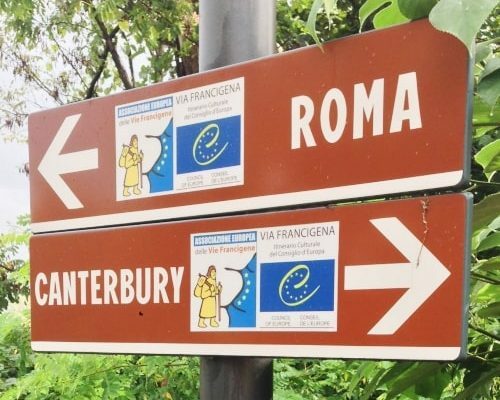 If you plan to travel by bike and get your Certificate, you will need to cycle at least the last 200 km of any of the official Camino de Santiago routes (and 100 km if you plan to walk). The Camino Francés is the most popular route of the Camino de Santiago, even for “bicigrinos”. But, what is a “bicigrino”? It is the combination on the Spanish words bici (bike) + peregrino (pilgrim). It refers to those pilgrims who choose to cycle the Camino, rather than walking. And, where should I start if I want to cycle the last 200 km of the French Way? Our suggestion is Ponferrada. This medieval town is a symbol of the Camino de Santiago, and almost 8000 pilgrims have chosen it as their starting point in 2017. On your way towards the sacred city of Santiago de Compostela, you will discover some of the most popular spots: O Cebreiro, Sarria, Portomarín, Palas de Rei… You will be sharing the path with walkers and riders. At some points, you may see alternative routes for cyclers. Are you ready to cycle an average of 50 km per day over the French Way? Do you have a basic knowledge of bike maintenance? How to change a punctured wheel? Basic repairs? If the answer is yes, we will assist you in making an unforgettable experience on the Camino de Santiago. Your bike will be delivered at your accommodation in Ponferrada the day your arrive. We will include a helmet, a basic repair kit, and saddlebags. If you want to add extra nights, remove bike rental and bring your own bike, upgrade your accommodation, add or remove meals, stay on a specific place… or change anything on the itinerary, please do not hesitate to let us know. We offer tailor-made tours! Arrival in Ponferrada, beginning of the last 200 km of the French Way. A lot of “bicigrinos” start here. The first cycling day of the last 200 km of the French Way is also one of the most challenging section. Be ready for the strenuous incline towards O Cebreiro. We can split this cycling day in two, so you can stay in Villafranca del Bierzo and continue the next day. After leaving behind O Cebreiro, the path will take you through the mountains of Galicia region. You will be able to enjoy amazing landscapes. One of the highlights of the day: the Monasterio de Samos, one of the jewels of the French Way. Sarria is the starting point of most of the pilgrims who choose to walk the Camino de Santiago. This town marks the beginning of the last 100 km of the French Way. 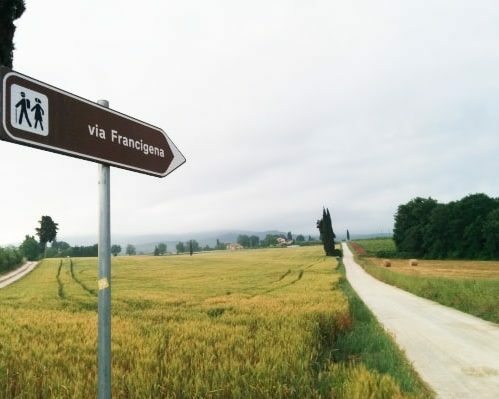 This is a shorter cycling day, and you will share the path with walking pilgrims. 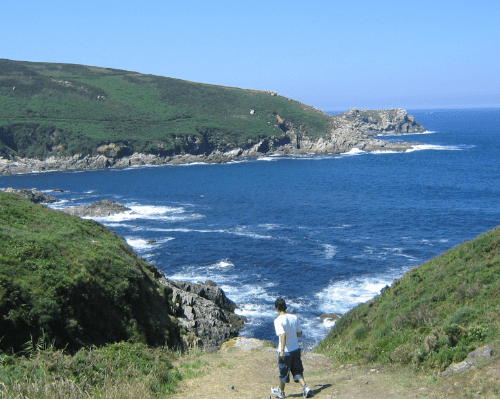 You will cycle along small woods, hamlets, and the rural side of Galicia region. Finally you will arrive in Portomarin, one of the most popular spots of the French Way. Day 5: Portomarín - Melide (38 km). Most of the walking pilgrims will complete the section from Portomarín to Palas de Rei. But if you are cycling, you will continue to Melide. The path will take you to the Sierra de Ligonde, where you will have to face a couple of ups and downs. Once in Melide, we strongly recommend you to try the traditional dish: pulpo a feira (octopus). As we leave Melide behind, we will start cycling along small woods and rural areas. Arzúa is the next big stop, and where most of the walking pilgrims will stay overnight. If you have time before heading off to Santiago de Compostela, we recommend you to try the local cheese. Some of the highlights of the day: the Chapel of Santa Irena, the hamlet of A Rua or Amenal. Once in Santiago the Compostela, you can deliver the bike in our facilities before checking in.